"It made my skin crawl... I could not put it down!" To get your preview of Vermin 2.0, you just need to tell me where to send it. Rats. They brought the Black Death. They're fiercely intelligent. They eat anything. 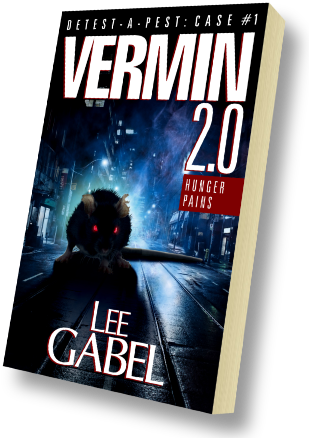 Now there's a new breed of rat in the sewers of New York City...a version 2.0...and they're hungry for blood. Ex-con Sam Shaw has problems. Bradley, his estranged son of fifteen years, has moved in for the summer and Sam has no clue how to be a dad. Plus, the building he maintains has become infested with super smart rats that crave living flesh. But Sam's problems don't stop there. He also has a debilitating fear of rats. With the help of a crew of rodent experts, Sam and Bradley must battle the infestation before they, and the building's tenants, are eaten alive.